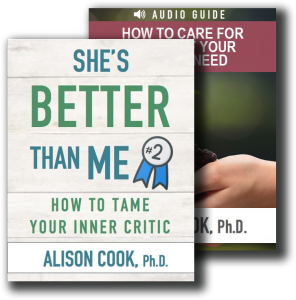 The 7 most common protectors that keep you from connection with others - Alison Cook, Ph.D.
You know the feeling. . .You’re at the dinner table with the people you love most, but you’re not really present. Your mind is a million miles away. Maybe you’re mentally scanning your to-do list or replaying the tape of that hard conversation you had with a friend earlier that day. Maybe you’re berating yourself for the lousy tasting chicken or trying to think of ways to coax your withdrawn middle-schooler into conversation. Maybe you’re irritable and fighting back the desire to snap at the first person to look at you the wrong way. You quickly get up and start scrubbing the plates in an attempt to distract yourself. We all become mentally distracted. And in the midst of our distractions, we all engage in well intended, but not always helpful, activities as we scramble to stay connected to others. The problem is that what our kids, our partners, and our friends need most is our non-anxious, non-distracted presence. More important than the meal or saying just the right thing in conversation is our ability to be fully present to those we love. The gift of being present—not just physically present, but emotionally and spiritually present—is one of the most important needs we have. Another word for presence is simply companionship. It’s company. Good company takes away our sense of being alone. It doesn’t fix our problems or get all the things done. But it energizes us and helps us focus. It’s what we need when we’re hurting. And we can’t be fully present to others without first becoming more present to the thoughts and feelings that vie for control of our own souls. In other words, the first step toward becoming more present to others, is to become more present to yourself. So how do you become more present to yourself? By the end of this series, you should gain insight into your 2-3 most prominent protectors and the 2-3 vulnerable feelings they protect. As you become more aware of your own protective tendencies, you’ll learn to come alongside yourself in a compassionate, caring way. You’ll experience more of God’s presence with you, and you’ll notice more calm inside. And, you’ll notice a shift in how you are with others, too. You’ll be less distracted. . . more fully present. I constantly feel rushed or a sense of urgency. I feel numb. I can’t remember the last time I felt sadness. . . or joy. I can’t stop criticizing myself and others. I am constantly thinking about whether I said or did the right thing. If I could just get this one thing right, everything would work out. If he or she would just change, then this problem would go away. Now, follow these three steps to try to get to know this feeling or belief better. Remember: Simply becoming more aware of your own mental habits is the first step toward change.